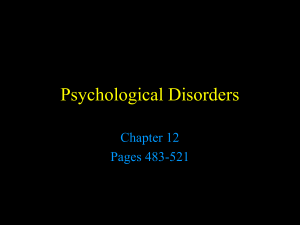 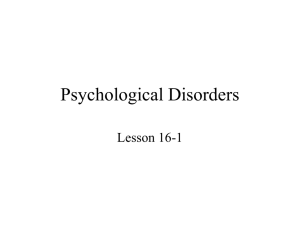 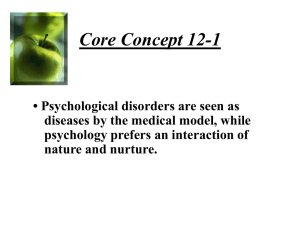 Chapter12 - J. Randall Price, Ph.D.
Abnormal psychology is the branch of psychology that studies unusual patterns of behavior, emotion and thought, which may or may not be understood as precipitating a mental disorder. 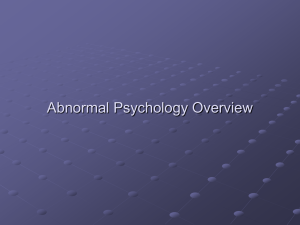 Although many behaviours could be considered as abnormal, this branch of psychology generally deals with behavior in a clinical context. 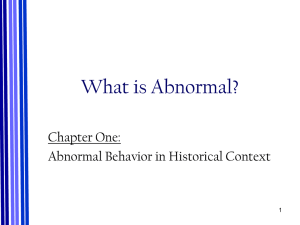 There is a long history of attempts to understand and control behavior deemed to be aberrant or deviant (statistically, morally or in some other sense), and there is often cultural variation in the approach taken. 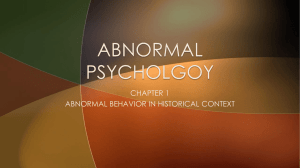 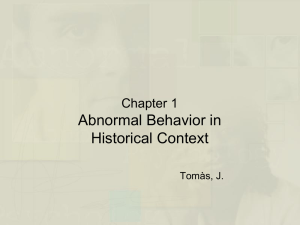 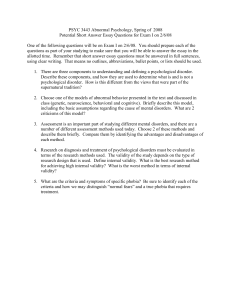 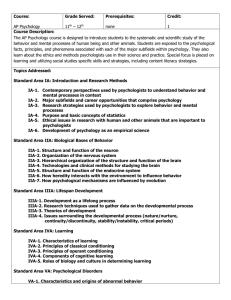 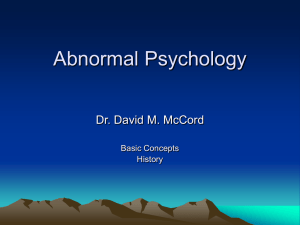 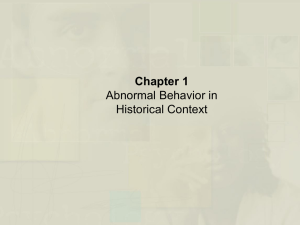 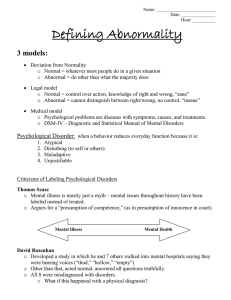 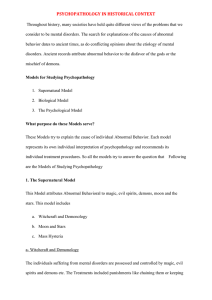 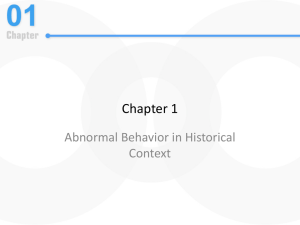 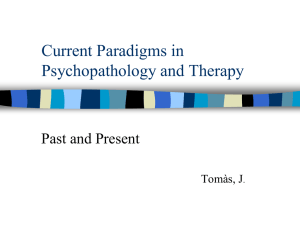 The field of abnormal psychology identifies multiple causes for different conditions, employing diverse theories from the general field of psychology and elsewhere, and much still hinges on what exactly is meant by ""abnormal"". 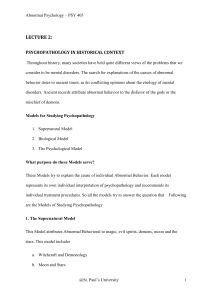 There has traditionally been a divide between psychological and biological explanations, reflecting a philosophical dualism in regard to the mind body problem. 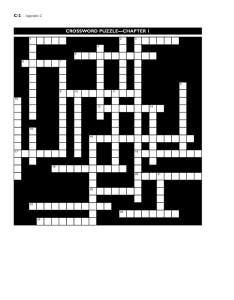 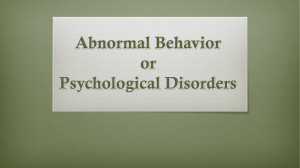 There have also been different approaches in trying to classify mental disorders. 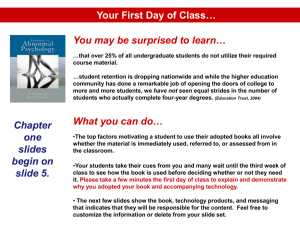 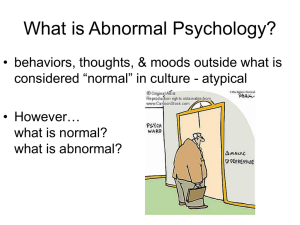 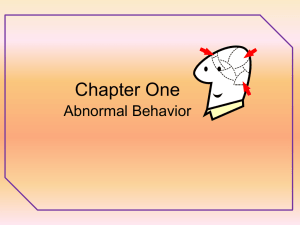 Abnormal includes three different categories, they are subnormal, supernormal and paranormal.The science of abnormal psychology studies two types of behaviors: adaptive and maladaptive behaviors. 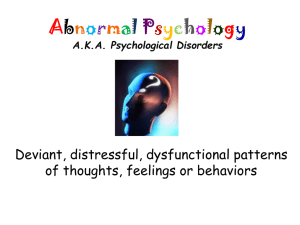 Behaviors that are maladaptive suggest that some problem(s) exist, and can also imply that the individual is vulnerable and cannot cope with environmental stress, which is leading them to have problems functioning in daily life.Clinical psychology is the applied field of psychology that seeks to assess, understand and treat psychological conditions in clinical practice. 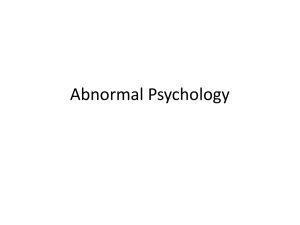 The theoretical field known as 'abnormal psychology' may form a backdrop to such work, but clinical psychologists in the current field are unlikely to use the term 'abnormal' in reference to their practice. 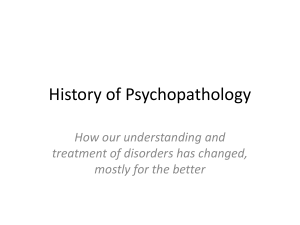 Psychopathology is a similar term to abnormal psychology but has more of an implication of an underlying pathology (disease process), and as such is a term more commonly used in the medical specialty known as psychiatry.